4,500 billion years ago, a star shone on a barren planet and, at a certain moment, matter awoke in the form of the first primitive life. The Earth was born. To this day sunlight generates all life on earth through warmth, light and photosynthesis – the transmutation of the energy of the sun into organic life forms. All life here is ultimately dependent on photosynthesis. Organisms that specialise in photosynthesis tend to be single celled – like plankton, or simply designed – like plants. These were the only forms of life for a very long time. It wasn’t until 500 billion years ago that the first primitive animals appeared. Equipped with mouths and stomachs, these new organisms absorbed the original power of life – sunlight – by eating and digesting plant life, no longer needing to photosynthesise for themselves. The food chain had begun. Around a million years ago our hominid ancestors learned how to use fire for cooking. Mammals spend most of their time eating or searching for food. Gorillas, for example, must chew all day to get sufficient nutrition. Using fire to prepare food was a breakthrough technological innovation that released more nutrition, increased brain power and set the path to the first anatomical humans 200,000 years ago. Freed from perpetual eating, we were able to use our hands and our brain to other purposes – such as reflecting on the nature of life itself. One of the first things we did with our expanded minds is worship the sun. In fact the sun throughout time has been seen as synonymous with clarity, life and consciousness. Fast forward to the industrial revolution initiated in the 1700s and the ensuing chemical, technological and biological revolutions of our modern age. With the invention of ever more sophisticated machines and techniques our large brains and versatile hands have extended their reach into the fundamentals of nature itself. Far from the communal fire, contemporary nutrition revolves around the modern dilemmas of industrialised manufactured food, chemical additives, plasticised vegetable oils, pesticides, obesity, cancer. Yet behind it all is the inescapable fact that life on earth, our life, is still completely dependent on the age-old transformation of sunlight, through photosynthesis, into the essential components of nutrition. Now we are almost at the present: Neal and Lyanne meet and share a life long passion for exploring diet and nutrition. Neal has experimented with fasting, macrobiotic, vegetarian, and fruitarian diets, low carb, high fat, high oxygen, paleo and virtually every other dietary permutation possible. In the late 90s Lyanne was at the heart of the budding raw food movement in London, contributing articles and recipes to the Fresh Network. Her nutritional knowledge is prodigious. Their respect for the power of nutrition was heightened when in 2008, Neal’s mum, Peggy was diagnosed with terminal, inoperable, pancreatic cancer. Doctors offered palliative chemo-therapy and a life expectancy of 6 months. Peggy found another way. An alternative clinic prescribed intravenous vitamin C (high doses of natural, sunlight derived anti-oxidant.) She adopted the Budwig Diet, which emphasises the importance of healthy oils, raw foods, and regular exposure of skin to sunshine. 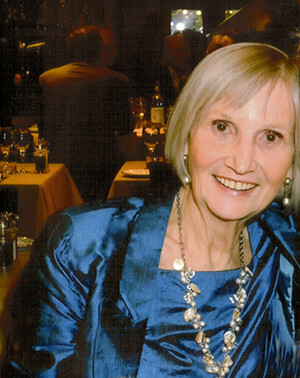 Six years after her prognosis, Peggy is 84 and in the best of health with the cancer fully in remission. Deeply inspired by Peggy’s recovery and wanting to develop more powerful ways of supplying nutrition than pills and juicing, throughout 2011 Neal and Lyanne searched for a machine powerful enough to release the entire nutritional value from within plant cells and literally blend organic sunlight into digestible form. Their passion was to promote a healthy and sustainable lifestyle with a product that was also affordable and easy to use. 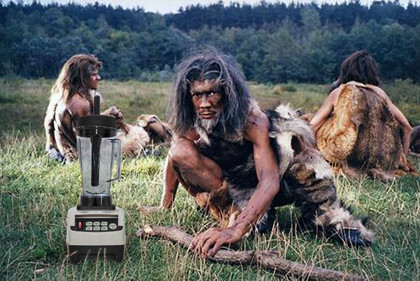 They discovered OmniBlend, a powerful but reasonably priced blender that back then was little known in Australia. In early 2012 OmniBlend Australia was born and the rest of our creative team gradually arrived. People who choose to consume only raw food generally don’t get enough calories unless they do something that essentially pre-digests it, such as running it through a blender. Catching Fire: How Cooking Made Us Human – by Richard Wrangham, Professor of Biological Anthropology. The discovery of fire made us human. In the million years since that discovery we lost the digestive power for raw food, the source of so many, photosynthesised, heat sensitive nutrients. The next breakthrough innovation that rivals fire – to quote the good professor above– is the new generation of power blenders. Unleash primal health in your body today!